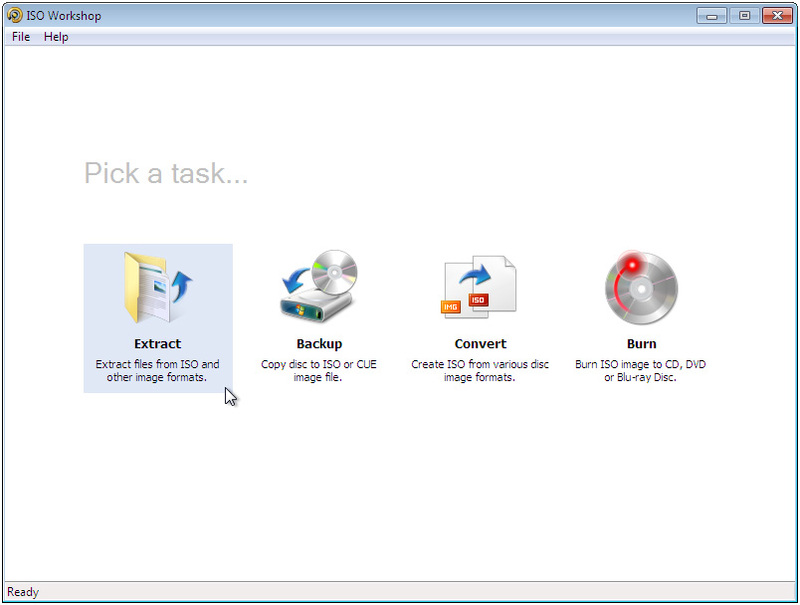 ISO Workshop is a free application designed to facilitate disc image management, conversion and burning operations. If you've been on the look for a well-rounded disc image management tool, It is definitely worth checking out. Optical disc images are files storing complete copies of various media, including CD, DVD and Blu-Ray discs. They are used for backing up data from optical discs and creating exact disc copies for further replication. ...... image to a blank CD, DVD or BD disc. And although this task may initially seem to be somewhat hard, proper software will make it a breeze - software like ISO Workshop! ISO Workshop is a free application specifically designed to facilitate disc image management, conversion and burning operations. The program has a very simple user interface that lets you focus on the most important aspects of the process, allowing the program to do the rest. Qweas is providing links to ISO Workshop 3.1 as a courtesy, and makes no representations regarding ISO Workshop or any other applications or any information related thereto. Any questions, complaints or claims regarding this application ISO Workshop 3.1 must be directed to the appropriate software vendor. You may click the publisher link of ISO Workshop on the top of this page to get more details about the vendor.